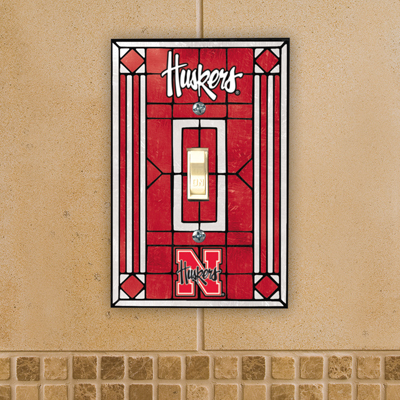 Brighten your room and show your team spirit with this officially licensed Nebraska Cornhuskers single light switch cover by The Memory Company®. This art-glass single light switch cover is accented with the team name and logo hand-painted in the team’s authentic colors. Measures 5" Tall by 3.25” Wide.